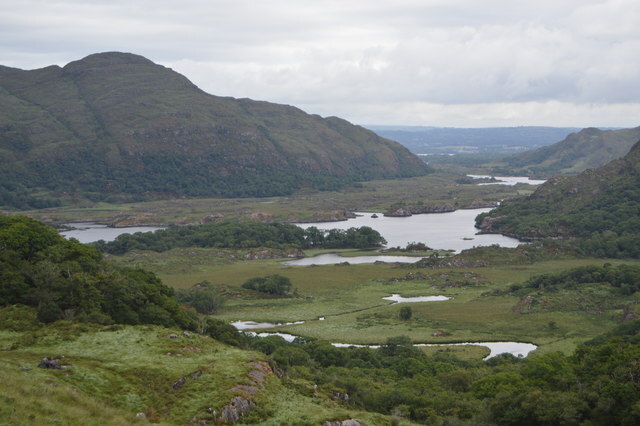 Ladies View is a scenic panorama on the Ring of Kerry about 19 kilometres from Killarney along the N71 towards Kenmare, in the Killarney National Park. The name stems from the admiration of the view given by Queen Victoria's ladies-in-waiting during their 1861 visit. The main viewpoint has a small car park, and a cafe called Ladies View Industries.